Just about all women can feel their baby moving by now. Your baby’s movements can be exciting and reassuring. A few women start feeling Braxton Hicks contractions from around now. These are ‘practice’ contractions, and feel a bit like a band of muscle tightening across your belly. Some women feel them later. Some women don’t feel them at all. They tend to be stronger and more noticeable towards the end of pregnancy and can sometimes feel like mild labour contractions. The uterus is putting downward pressure on your bladder again, so you might want to go to the toilet more often. Your cervix is probably sealed tightly shut with a mucus plug – later called ‘a show’. 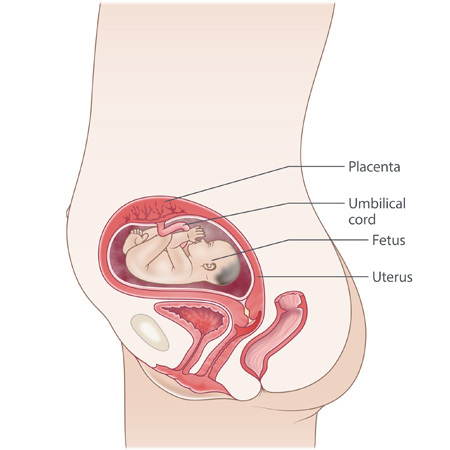 Your baby is about 20 cm long from head to bottom, and weighs around 540 gm. The different parts of the nervous system are all working together nicely. Your baby can recognise light, sound and pain. The hair on your baby’s head and eyebrows is starting to develop colour. The pancreas is functioning now, producing insulin. The lungs are producing surfactant, the substance that helps them stay inflated after a breath.